Wondering where in the world women are becoming homeowners? A new SmartAsset study examined just that. In order to find the places where women are buying homes, SmartAsset looked at data for 402 metro areas, comparing data of two specific metrics: number of mortgages originated to women, and number of mortgages originated to men. The results showed a noticeable imbalance: Overall, men were 50 percent more likely to buy homes without cosigners compared to women. According to the data, solo women are snapping up more homes than men in only two metros: Santa Fe, N.M., and Santa Rosa, Calif. SmartAsset notes that women without cosigners outbought men without cosigners by 6.7 percent in Santa Fe and 1.6 percent in Santa Rosa. Why are men purchasing more homes than women? Some research points to an income inequality issue purported in many places around the country. Grand Forks, N.D.-Minn. was the only studied metro area where the average female homebuyer had a larger income than the average male homebuyer. Financial flexibility also impacted results, especially when it came to the mortgage-to-income ratio. SmartAsset data suggests women are more likely than men to buy a home, which limits their long-term financial flexibility. Meaning? On average, women have mortgage-to-income ratios 7 percent larger than men. Many experts recommend purchasing a home worth no more than 2.5 times your income, but for women, the mortgage-to-income ratio goes over 3.5 in metros like Santa Rosa or Los Angeles, Calif. If you factor in a 20 percent down payment for women in Santa Rosa, the average woman there is buying a home worth 4.4 times their income. 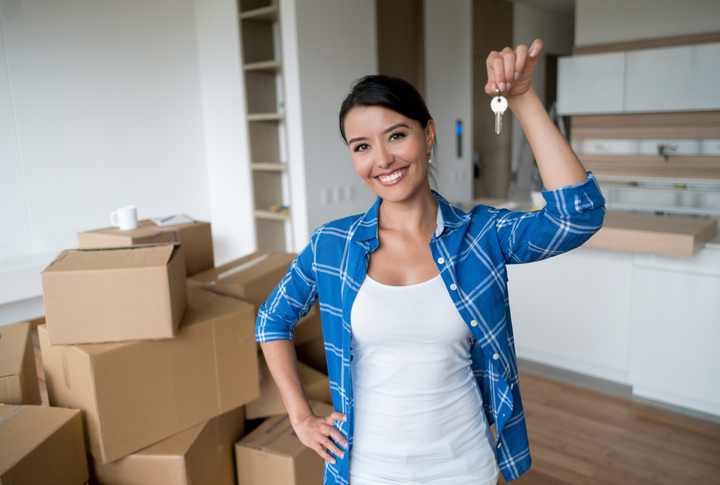 So, it seems women are more likely to take a risk when it comes to purchasing a home. 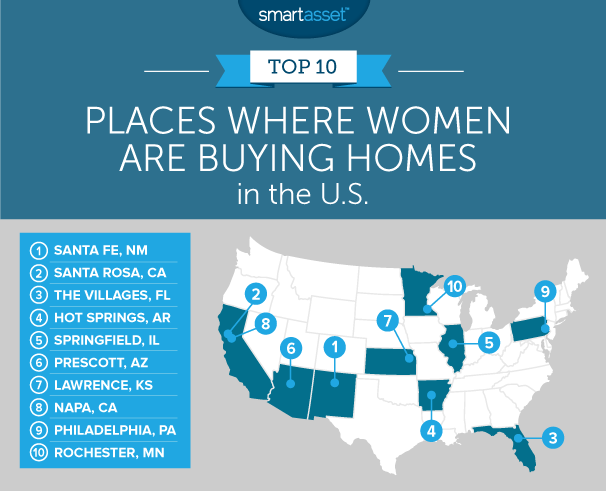 Below are the top 10 places where women are buying. Hopefully, a focus on equal wages will bring more female buyers into the fold in the future. For more information, view the study here.